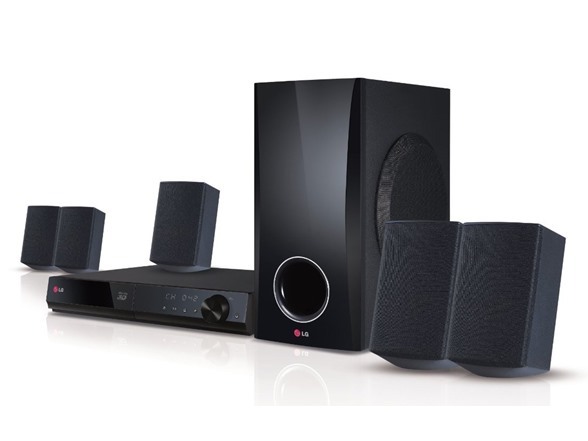 Enjoy the best of the Internet direct to your TV with LG's BH5140S home theater system. And, with LG Apps download additional apps to make your TV experience customized to you. Want to watch 3D? With 3D capability you can enjoy 3D movies in Full HD 1080p. Easily access premium content from providers like Hulu Plus®, Netflix® and YouTube® directly through your LG Smart TV*. Stream your favorite movies and TV shows, enjoy the latest games, apps and more. LG connects you to the content that you and your family want. The LG Smart World app store built into your LG Smart TV is loaded with fun and useful new apps for you to search, download and enjoy, taking your entertainment experience to the next level. If you have a 3D-capable television, this player lets you enjoy visually spectacular Hollywood blockbusters on Blu-ray 3D Disc™, in stunning quality. Want to watch your favorite disc without disturbing those around you? Private Sound Mode lets you wirelessly send the audio from the Blu-ray player to your compatible smartphone, and then listen over your headphones. Unit Dimensions (WxHxD): 14.2" x 12" x 2.4"
Front Speaker (W x H x D): 3.5" x 3" x 5"
Center Speaker (W x H x D): 3.5" x 3" x 5"
Subwoofer (W x H x D): 6.1" x 10.6" x 12.8"